The DCU GAA Academy has appointed its first ever Games Development Officer to oversee three of the five areas of the club, those being camogie, hurling and handball. Paul O’Brien has been selected for the part-time role which will see him take charge of the three areas mentioned, while Michael Kennedy (GAA Academy Director) will oversee the football side of things. The role will involve assisting committees at the different clubs as well as recruitment, sponsorship and player welfare. Speaking to The College View, O’Brien, who is also the manager of the Fitzgibbon hurling team in the college, outlined the reasons as to why the position has been created as Kennedy is already in place as director of the academy. “The role has been created much like the soccer and rugby development officer because there is a need for a part-time person in employment to assist with the operation and development of student-led clubs,” he said. Sponsorship is one of the key areas of O’Brien’s new role and is something that has caused problems for the hurling club this year. The club was without a sponsor until recently, when they ran a competition to find one for the front of the various team’s jerseys, which was won by McGuirk Hire. 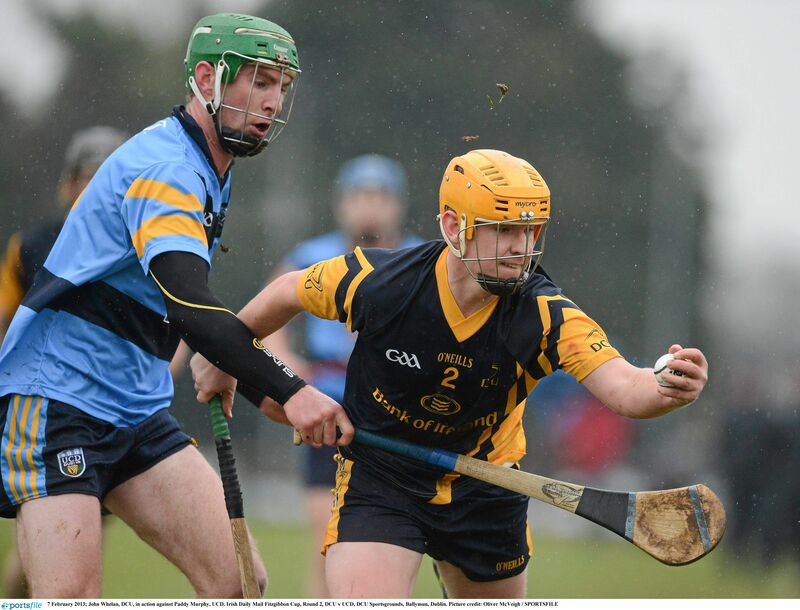 At the beginning of the year a sponsorship deal was struck between Bank of Ireland and the GAA Academy, but the deal does not extend to the hurling club. O’Brien explained that for an academy with such a number of systems in place as that of the GAA, it’s almost impossible to give each section of the academy the funding it needs. He also praised Kennedy for the work he has done for the club. With developments such as the latest appointment, does O’Brien feel the three clubs are moving forward? “Yes, I reckon all three of the clubs I’m involved in are progressing and moving forward. The hurling club has gone from two teams to four teams this year; a senior, inter and two fresher teams. Last year we only had two teams and the aim is to grow teams-wise, but also at the level we are competing at, to become a force to be reckoned with,” he said. “The camogie club has been very successful in winning two Purcell cups in a row, the next step is to progress onto competing for and winning Ashbourne cups. Going into the New Year, O’Brien has high hopes for the Fitzgibbon hurling team, of which he is in charge. “The hopes for 2014 are to build upon progress made last year and firstly make it out of the group in which we are drawn, and then reassess our goals and drive forward in the knockout stages. Competing in two competitions at the same time, the Kehoe Cup and Fitzgibbon, will be a challenge, but one we are ready for.